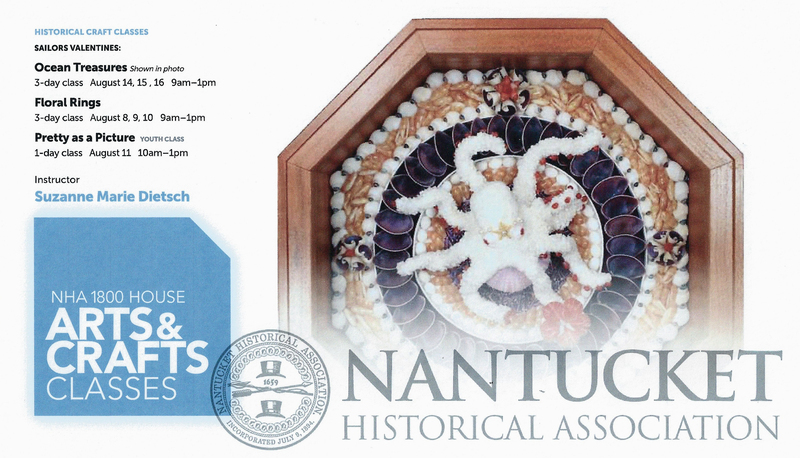 Spread the Word – Summer is here and the class schedules for Nantucket’s 1800 House have been posted. Check www.nha.org/1800house for details. 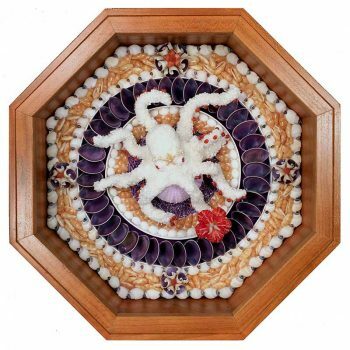 Sailor’s Valentine Classes are scheduled for the second and third week of this August. My goal, as always, is to find the artist within us all though friendship, imagination, laughter and smiles. August 14, 15 and 16. 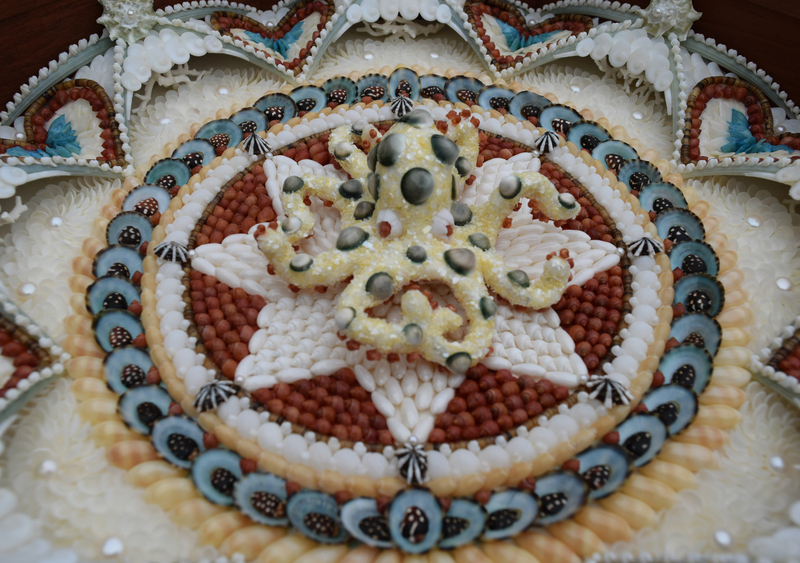 We will concentrate on design choices as well as create unique decorative specimens such as octopus, sea horse, sea stars or scallop shells to feature in the “Ocean Treasures” valentine. We will also be cutting illustration board as requested last year. August 8, 9 and 10. 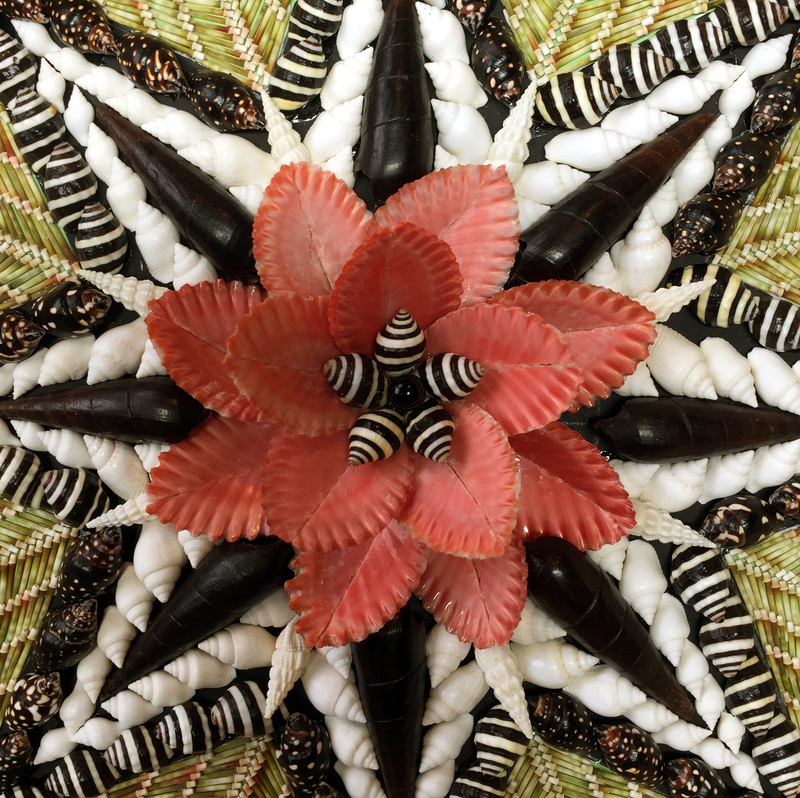 The beginner level sailor’s valentine class will concentrate on techniques used by the nineteenth-century shell crafters of Barbados. 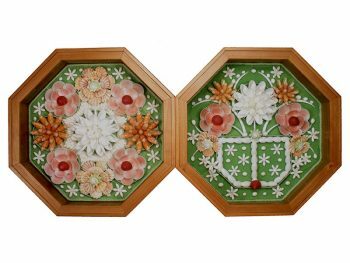 This valentine design is similar to the original artifact on display at the NHA Whaling Museum. 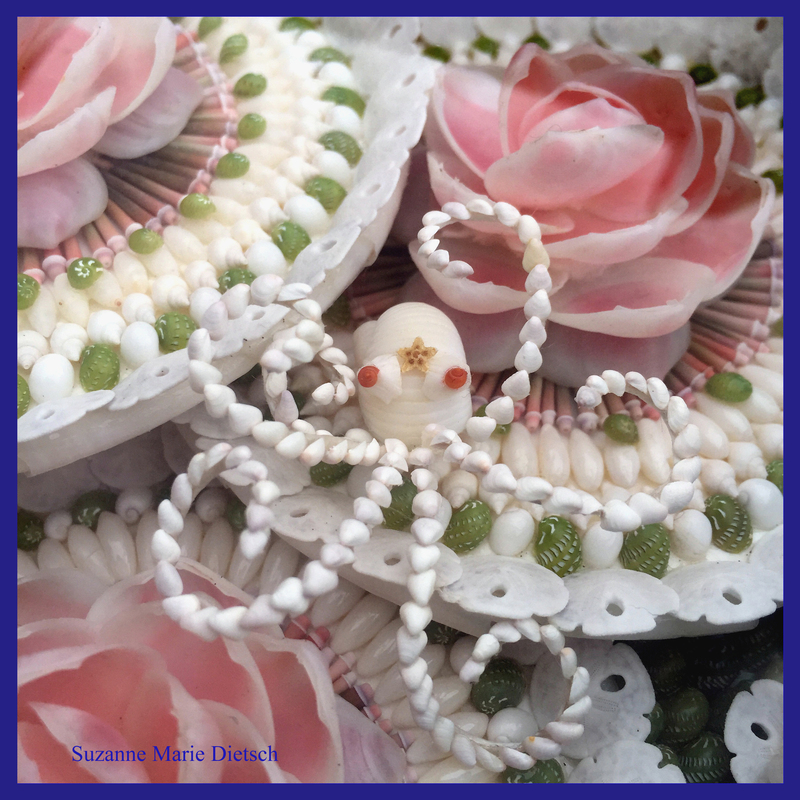 Choose from the flower basket or flower rings design. August 11. 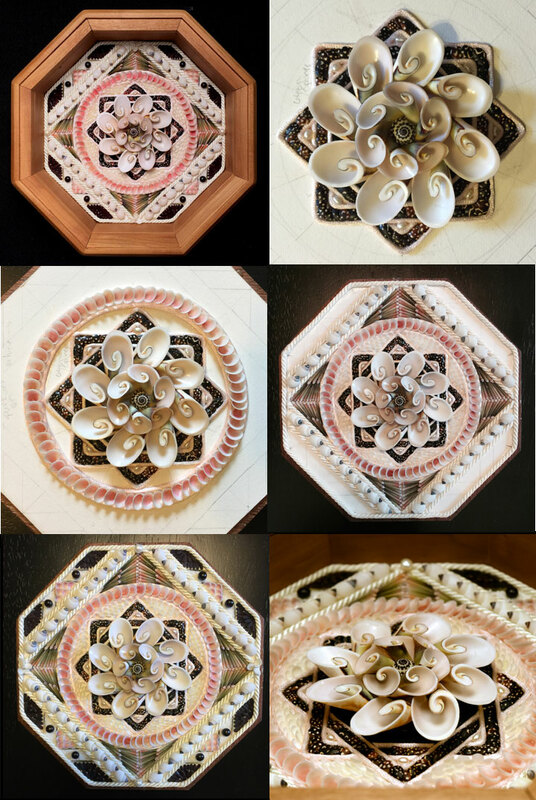 The “Pretty as a Picture Class” is designed for young and old alike… to learn about Sailor’s Valentines and complete a very basic, inexpensive shell mosaic. The center window of this design will accommodate any favorite photo or picture. 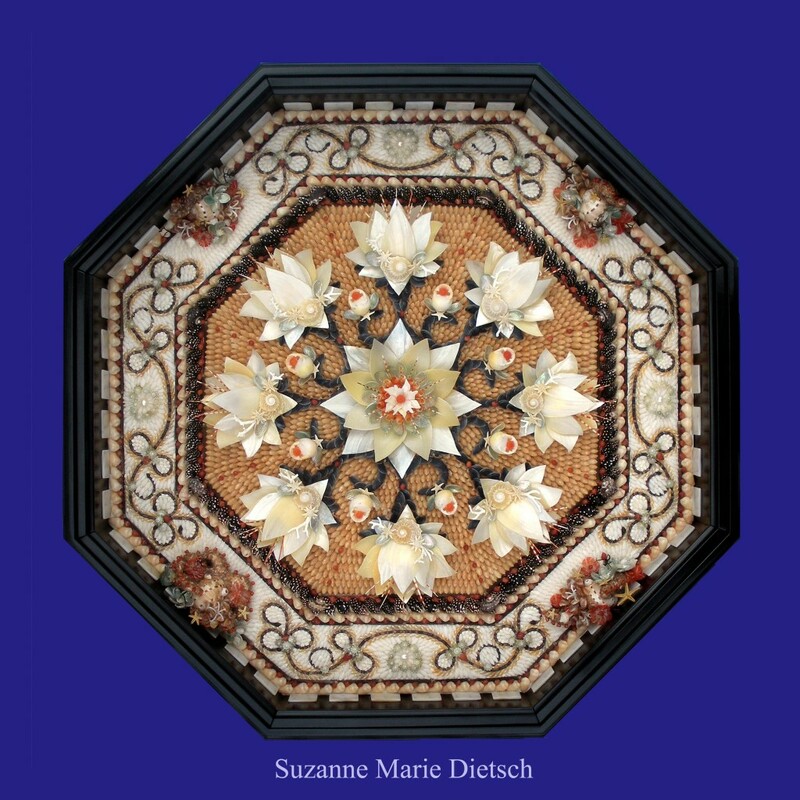 Ann Stegner shares her technique for creating pansies from fish scales. 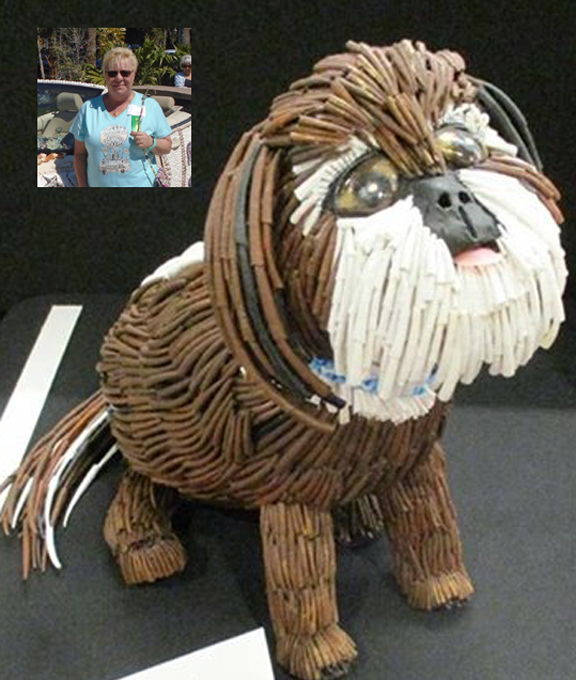 Ann uses purchased fish scales soaked in plain water overnight to make them pliable. She learned this by trial and error. 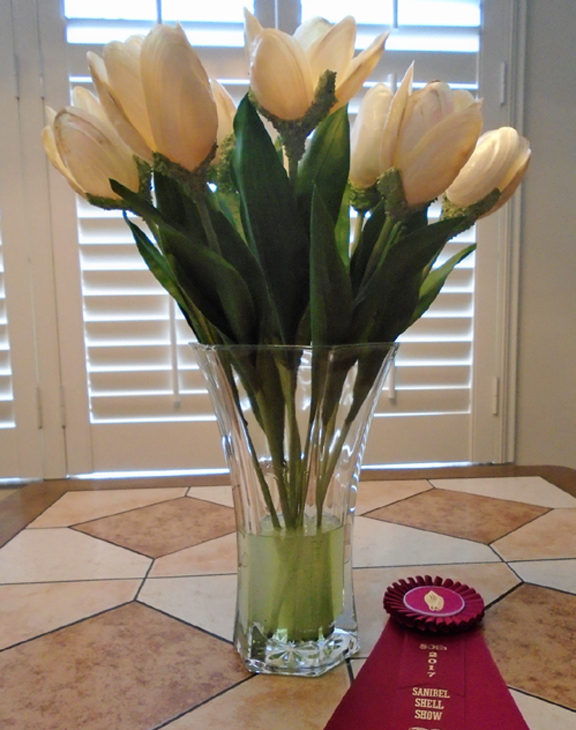 This gives her the advantage of shaping each petal. Next she prefers to paint the scales, although dying them is another option. 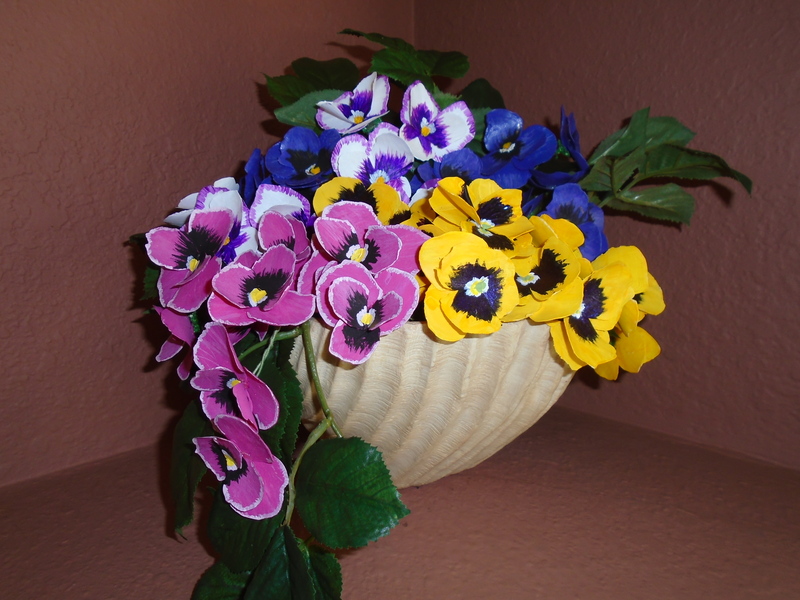 She uses 5 scales for each pansy and creates 4 different varieties. 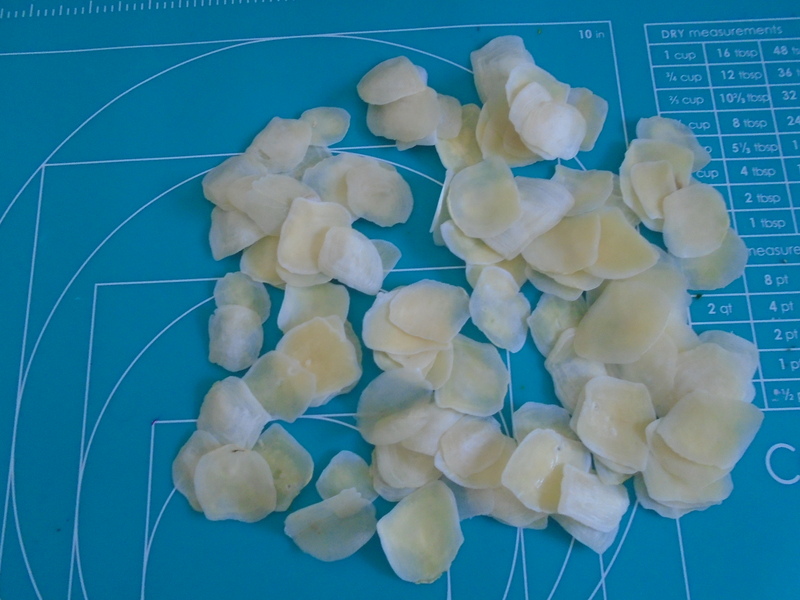 Fish scales can be shaped to create many different flower petals. 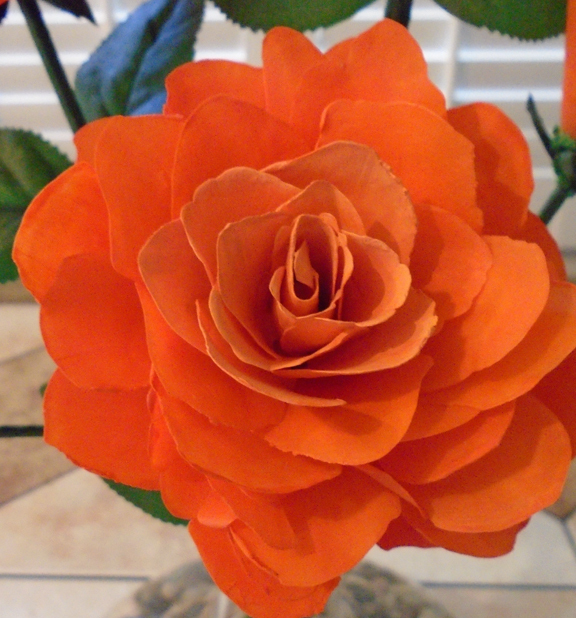 For example – rolling a tight tube of scales and clamping them till dry will form the delicate center of a rose. 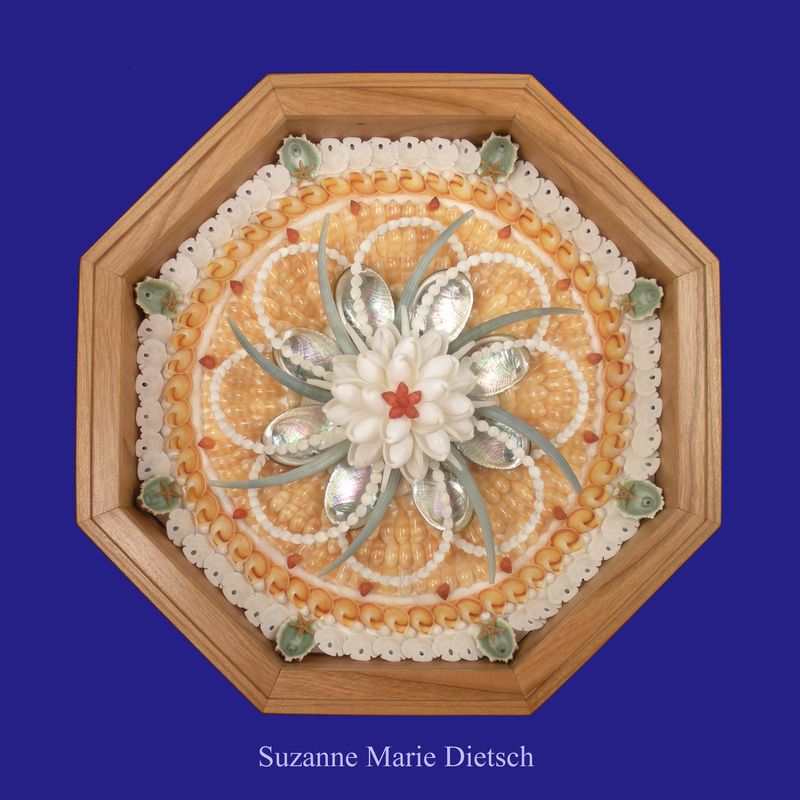 A special thanks to Ann for sharing this fish scale flower petals technique. 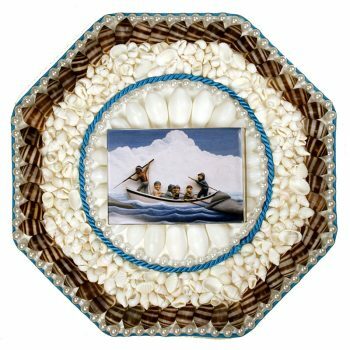 Award winning artists such as Ann Stegner celebrate the diversity of shell art using many different techniques. 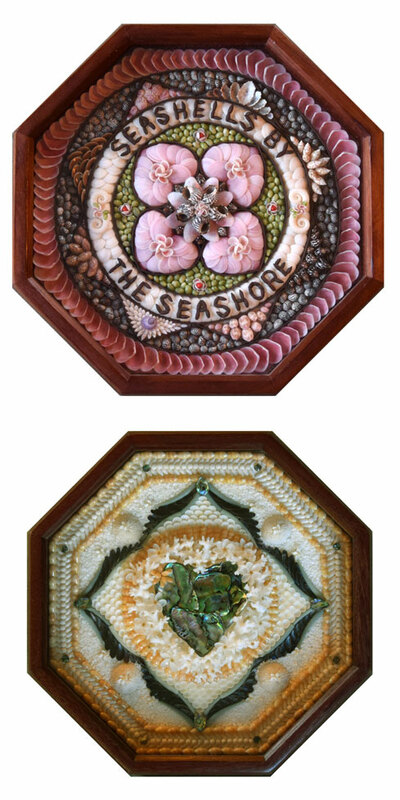 Her use of shells, fish scales and sea life reminds us to appreciate of the “artist within us all”. 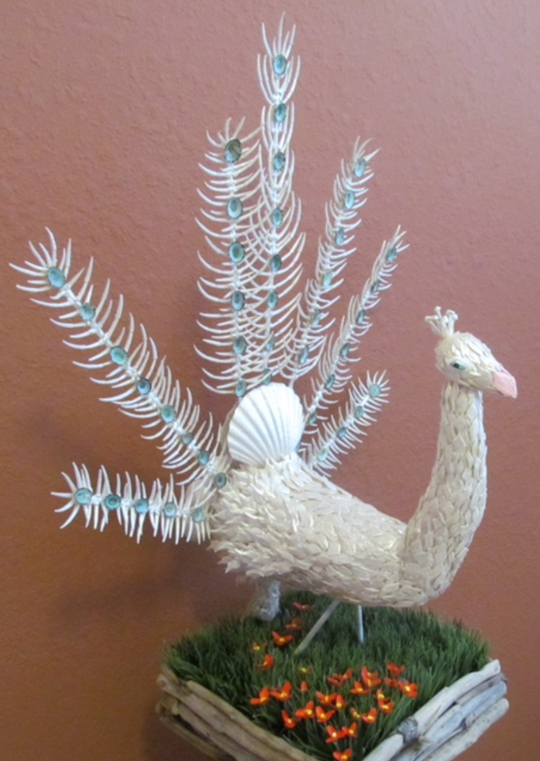 Here are several of my favorite creations by Ann Stegner. 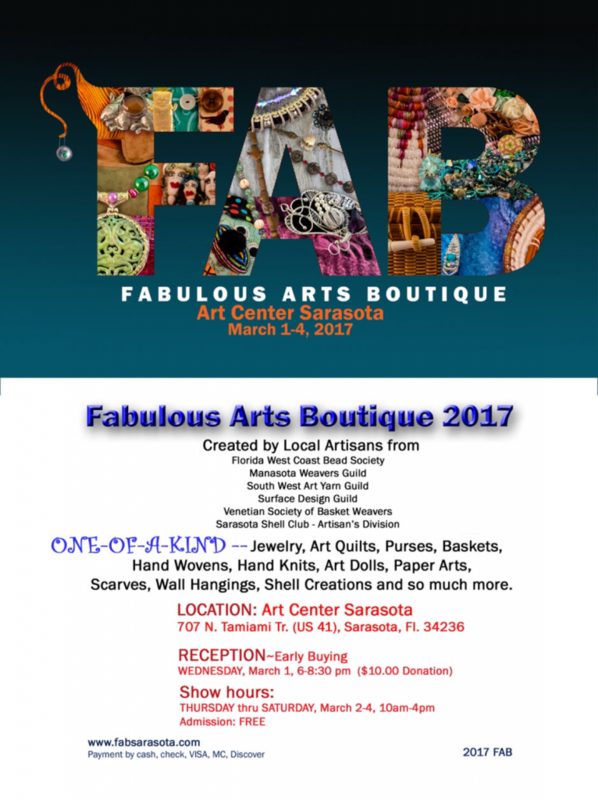 Among the many beautiful items available at this ‘Fabulous Art Boutique’ are shell mosaics I have designed. 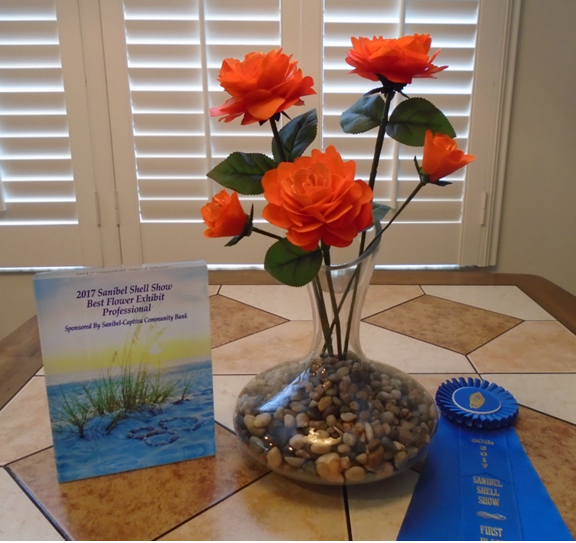 The Scientific, Artist, and Major and Special Awards entry forms for the 2017 shell show are available at www.sarasotashellclub.com . Also available are the Rules of the Show and the Awards Banquet reservation form. 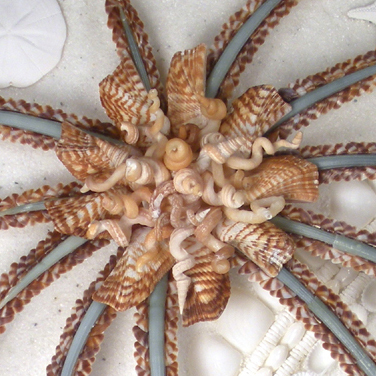 The Sarasota Shell Show is the largest indoor shell show in the state of Florida. 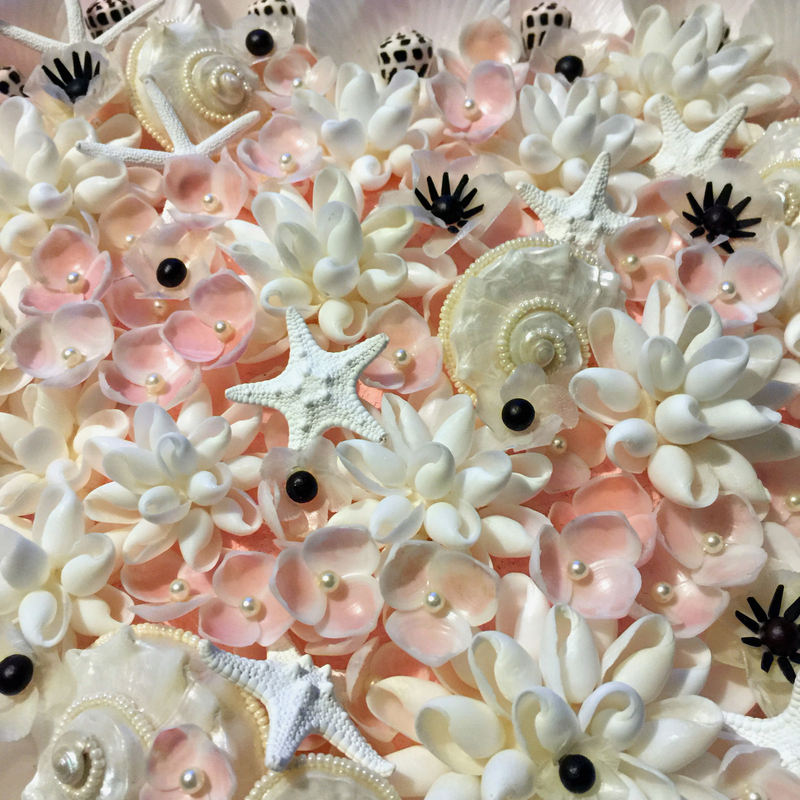 We offer a truly exceptional experience for you to be exposed to people in Southwest Florida who love shells and items related to them. It’s easy to be a dealer at our show.